Reliability and commitment are vital to our business and the personal growth and development of each of our members on the team. Together, as a group of individuals, we are committed and dedicated to meeting the needs and expectations of our customers in application of our roofing systems. By staying on the cutting edge of roofing technology we can provide the highest quality products and workmanship. Service of excellence is the commitment we offer to our customers. This goal is achieved by our customer’s complete satisfaction. We dedicate Eric B. Mast Enterprises LLC. to serving others and bringing glory to God. About Eric. B. Mast Enterprises LLC. Here at Eric B. Mast Enterprises LLC. we pride ourselves on a job well done and will settle for nothing less than our best with every project we take on. We strive to form lasting business relationships with all of our clients and we know that in order to make sure that happens we must provide exceptional customer service and expert workmanship. The lines of communication are always open so you are never left in the dark. 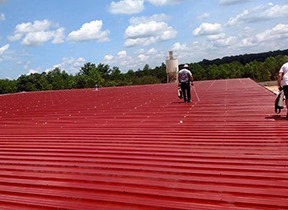 Call us today at (804) 357-8038 so we can provide your commercial building with a first-rate roof evaluation. We look forward to earning your business. Make sure you are choosing a contractor that has the same moral fiber as you. Choose a company that has been around for years and will continue to provide the beautiful state of Virginia quality service for many years to come. Eric B. Mast Enterprises LLC. proudly stands behind our decades of service and would be honored with the opportunity of earning your business. We are a proud certified installer of Conklin roofing materials. Conklin has been leading the industry since 1977 and we are honored to be a part of their contractor network. One of the key benefits to being a Conklin roof coating specialist is in addition to their fantastic performance, Conklin roof systems are backed by some of the best warranties in the business. Their non-prorated warranties cover 100% of costs for up to 20 years. Here at Eric. 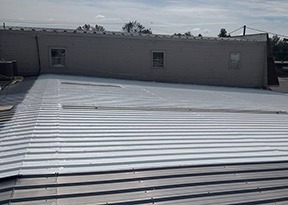 B. Mast Enterprises you can rest assured that with Conklin’s product warranties matched with our workmanship guarantee your commercial roof is in good hands. Know that when you choose Eric B. Mast Enterprises for all of your commercial roofing needs you are putting your trust in a company with a solid reputation. 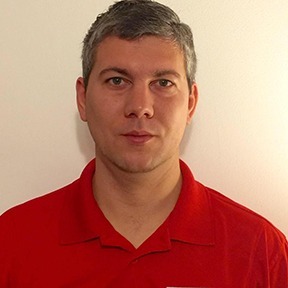 A company that pairs old fashioned values with modern techniques. We know that customers are what truly make a company great which is why we strive daily for the absolute best in customer service and expert workmanship. Call us at (804) 357-8038 so we can provide you with a quality roof evaluation. We look forward to hearing from you.